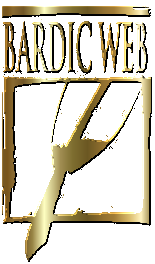 Welcome from the staff at Bardic Web! Membership here is free to play, but we do offer various levels of membership to chose from if you want more than the standard five free characters or other site perks. You can even own your own Writing Board and accompanying Reference Board. We are offering the Master Bard level for the cost of a Journeyman Bard, yearly option only. Simply click the subscribe button in the top right navigation bar and select Journeyman Bard for $70. You will receive the Master Bard level with 40 Bardicoins to spend however you wish on site perks. Membership will increase to regular price the following year. Offer open to new subscribers only. Who do you know who deserves a gold star? Tell us and help us to celebrate the very best writing that Bardic Web has to offer. Whether it was something dramatic, tragic, beautiful or just side-splittingly funny, we want to know about it. Bardic Web's Best Homes are the most beautiful and unique homes from all over the community. The designs you find here display the best creative efforts of the membership and offer a tantalizing glimpse of the vast possibilities one can achieve with character homes. Take a tour and don't forget to nominate your own favourites. Don't forget to check out the Bardic Web Store for mugs, t-shirts, stationary and other novelty items. Interested in purchasing ad space here? Click here for your Treasure Chest.